Stage 9 turned into a far more exciting stage than expected, whilst still managing to disappoint slightly by the end. Most expected a quiet stage that would be won by a breakaway. However, Movistar and Saxo-Tinkoff were having none of it, managing to isolate Chris Froome on the first climb. Sadly though, they were not able to take advantage with seemingly neither Valverde or Contador having the energy to really attack Froome on the final climb. Moving onto Stage 10 and it should be one for the sprinters. With just one small category 4 climb, it would be a major surprise were anyone to get dropped and it is tough to see the sprinters not competing for the stage win. Team Sky are likely to take it easy and let the sprint teams close down any breakaway in this stage. The finish is very straightforward with no corners within the final 5km, it is unlikely to cause any problems. A strong tailwind should mean that the pace is very high, so having your lead-out train in the perfect position will be important. 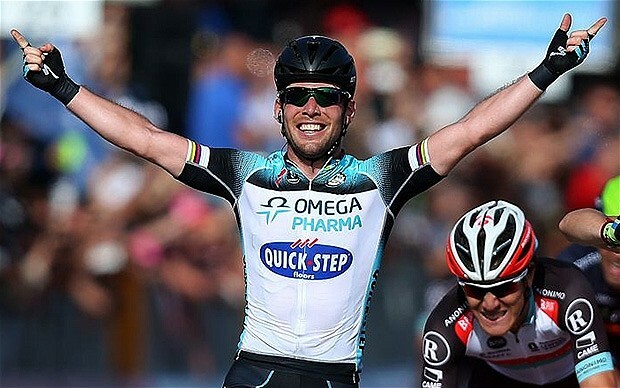 If delivered to the perfect position, any of the trio of leading contenders - Cavendish, Greipel and Kittel - are very tough to beat. The breakaway should get away early, but it would be a real surprise should it stay away. One might imagine that Team Sky would be happy to let it stay away and for someone to take over the yellow jersey until the next mountain stages, but it is tough to see the likes of Lotto-Belisol, Argos-Shimano and Omega Pharma Quick-Step allowing that to happen. It would be no surprise to see the likes of Juan Antonio Flecha, Ramunas Navardauskas or Anthony Delaplace in that breakaway. In the last sprint stage, Lotto-Belisol judged their delivery of Andre Greipel to perfection and the German hung on for the win. Arguably Argos-Shimano have the best lead-out train in the race right now, so if they can deliver Kittel to the ideal spot, he should win. And Mark Cavendish is the fastest man in the peloton, so if he gets ahead, he will be impossible to catch. With the importance of position in this stage, it is tough to see a winner from outside this trio. The tailwind will help any sprinter that attempts to go from a longer distance, but it will require a massive effort to achieve this. Whether the likes of Sagan, Boasson Hagen, Kristoff, van Poppel or Lobato are capable of this is debatable. 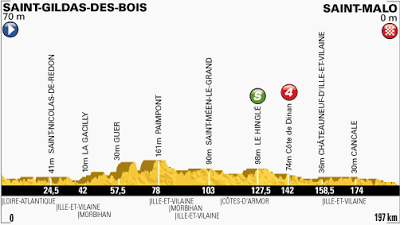 As with the next couple of stages, it should be a showdown between Greipel, Kittel and Cavendish, with Sagan popping up occasionally to grab some points toward the green jersey that now looks nailed on to finish on the shoulders of the Slovak. I fancy Cavendish to win it with Greipel and Kittel pretty evenly matched for second, possibly with the merest of edges to the Lotto-Belisol man.